Our oldest says muffins and breads like this chocolate chip banana bread are things he loves me making. Since he is going to leave the nest soon, I *may* be making things like this more often. And shipping them to his dorm room. Sniff. 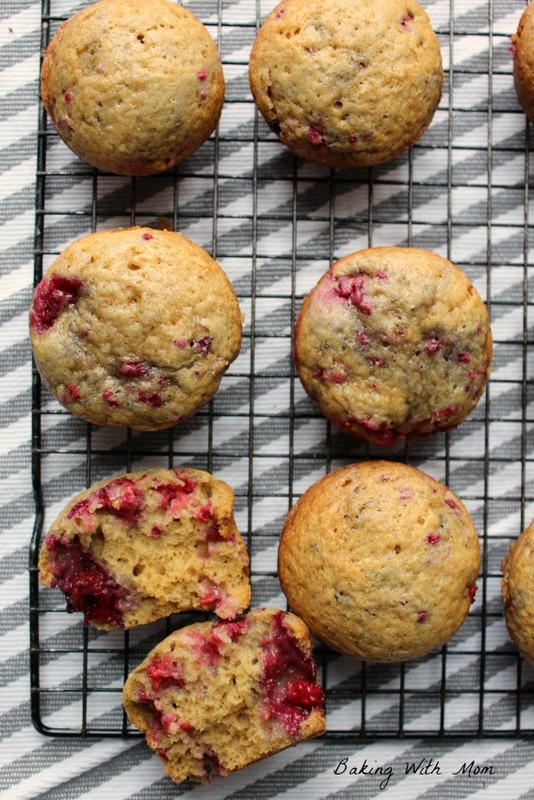 As with most muffin recipes, they are quite easy to put together. They are simple ingredients mixed in a bowl with whatever added fruit (or chocolate chips) in them. Mix the dry mix first, then add the wet ingredients. 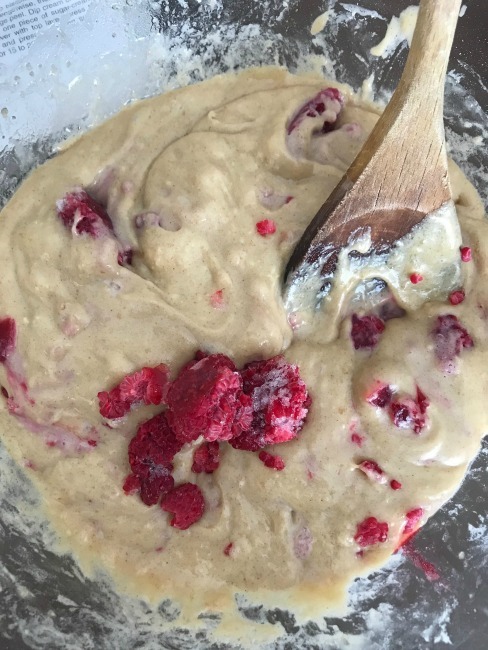 Then add the raspberries. I used frozen raspberries that were fresh from my garden this summer. Growing raspberries is INCREDIBLY easy and the spread even easier. A helpful tip is if you want raspberries, buy a few plants, plant them in a sunny spot and just wait. Before you know it, they will be growing and spreading. They will be producing great, delicious raspberries as well. You can find some helpful raspberry growing tips here. You don’t need a large area to grow them and considering the cost of raspberries in the store, it is great to have them in your yard! As you can probably tell from the picture, I used frozen raspberries straight from the freezer. I broke them apart a little bit and threw them in. 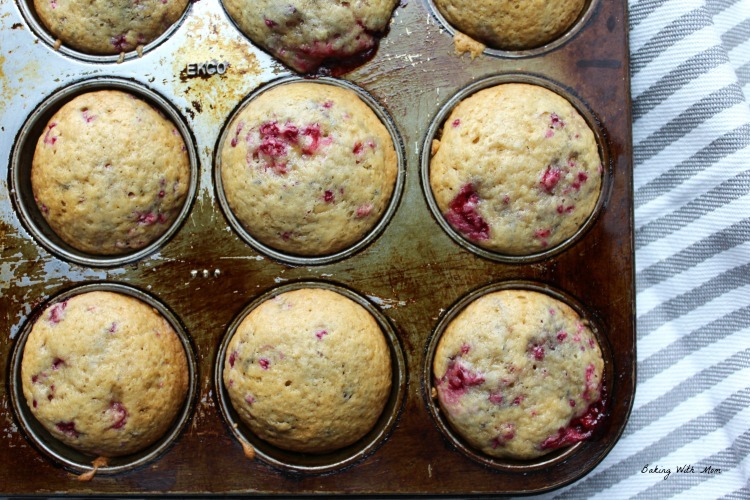 You can also use washed fresh berries. Both are delicious and work well in these easy raspberry muffins. 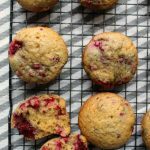 Easy raspberry muffins with delicious sweet raspberries throughout. 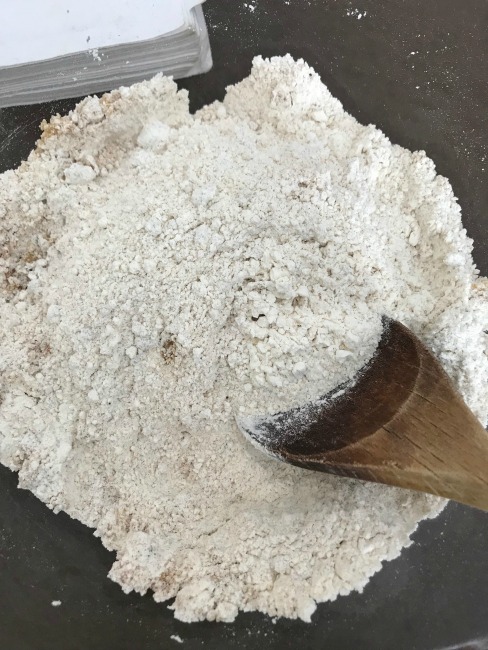 Easy to make recipe and great for snacks and breakfast for the family. Freezer friendly as well.